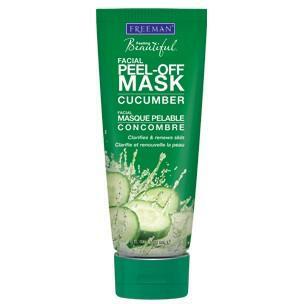 Today was a semi-stressful day at work (ahhhhh) so i decided to treat myself to toiletries (dont judge me) I picked up Freeman's Cucumber Peel-Off Mask and I am in love. The mask left my face feeling firm, fresh, and soft. The kicker here is the mask only cost me 3 bucks, you really can't beat that. While the peeling off of the mask took multiple times...im sure with practice i'll be able to peel the mask off in on piece.